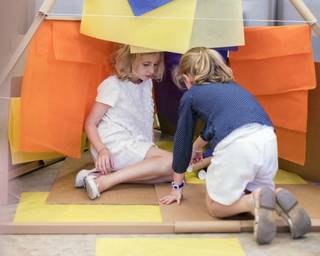 Create your own architectural house at the Museum this Christmas. Create your own modular building by Waugh Thistleton Architects and add it to a new city. This activity is drop-in for all the family and will take place in the Raphael gallery. With thanks to our supporters Waugh Thistleton Architects, The American Hardwood Export Council, Arup, Swan Living and Dufaylite.